The weather may still be warm, but now is the time to prepare your home for the cooler weather of autumn. When the days grow shorter and the nights longer, you will be glad you already got your home ready for the change of seasons. 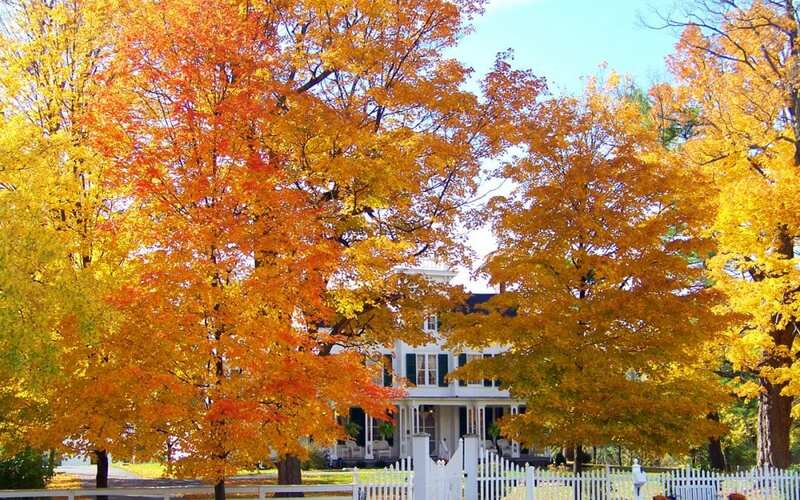 Now, at the end of summer, prepare your home for fall in the following six simple ways. Roofs typically have a lifespan of fifteen to thirty years, depending on the type of roof. This does not mean they don’t require some attention and maintenance. The roof should be checked once a year, whether by you personally or by an inspector, to evaluate its condition. It is the perfect time to take care of this chore when you prepare your home for fall. Look for warped or missing shingles, loose granules, and any signs of sagging. If you need a new roof, it is best to arrange this before winter hits. After considering the roof, it is a great time to examine the state of the gutters. Check them for leaves and debris, clear out anything that is there, and look for places where replacements or repair might be needed in both your gutters and downspouts. Also, consider getting a mesh guard to cover them and keep debris like falling leaves from clogging your gutters. The U.S. Department of Energy says that ten percent of your heating bills can be attributed to gaps in weather-stripping and caulk. Weather-stripping is a cost-effective way to lower utility costs for both heating in the winter and cooling in the summer. Easy options exist to check for a problem when you prepare your home for fall. Try closing the window or door and holding a lit candle near the frame. Watch for flickers in the flame. If you see any movement, there’s an air leak you should address to weatherproof your home before cooler weather hits. It is easy to forget about the furnace during the hot months, but it is best to test for problems before cold weather sets in. Having your furnace serviced at the end of summer is a good idea that can also save you money since companies are not yet busy with peak season. On your own, you can change the air filter, check the pilot light for gas heat, the burner, and the chimney flue. If you run your furnace and notice a problem, it is time to call a specialist. Screeches and whines may signify a worn belt connected to the blower motor. Poor performance can indicate blocked ducts, misadjusted burners, or a dying blower motor. While you’re considering inspections as you prepare your home for fall, head outside. Examine any trees and look for limbs that might hang over the roof or walkways or common areas of the yard. Check for dead or broken limbs while there are still leaves on the tree to make the bare areas stand out. Take a glance at your siding to check for loose or missing pieces, too. Prepare your home for fall while the weather’s still warm and you will not have to rush through these tasks in the cold. As the season changes, it is not only the time to start checking the trees for the first signs of changing colors; it is also time to prepare your home for the weather changes that autumn brings. With these six easy tasks, you can rest in comfort knowing your house is fall-ready. Rhode Island Real Estate Inspection Services provides home and commercial inspections to all of Rhode Island. Contact us to schedule your appointment.